This article first appeared in The Edge Malaysia Weekly, on June 12, 2017 - June 18, 2017. AFTER a good two-decade run, online classifieds are no longer happy to just earn revenue from advertising dollars. Increasingly, some property and car portals are aiming at much bigger prizes: sales commissions and transaction-related services. Frontier Digital Ventures Ltd has been aggressively rolling out what it calls the “v2.0 of the online classifieds business model”. Frontier group CEO Shaun Di Gregorio argues that advertising is no longer the main game for online classifieds platforms, particularly in frontier and emerging markets, where the advertising dollar is considerably smaller than that of developed markets. “We all know that the holy grail is probably no longer advertising. 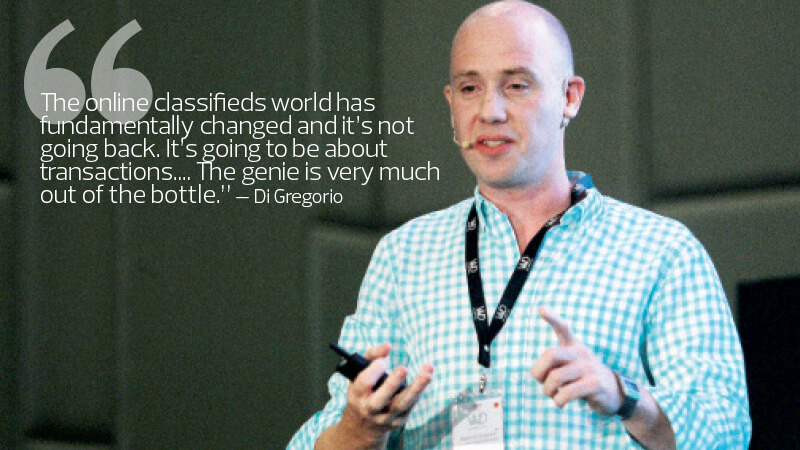 Advertising is becoming the platform upon which you can go after the bigger economic prize, which is the transaction,” Di Gregorio said at the recent Wild Digital conference in Kuala Lumpur. According to Di Gregorio, for every US$1 of advertising revenue, about US$7 to US$12 in commissions are generated. Frontier does not operate any platforms but invests in leading car and property online classifieds businesses in frontier and emerging markets including in Africa, South Asia, Southeast Asia and Central America. Listed on the Australian Securities Exchange (ASX), the company is 40.64% owned by Catcha Group Pte Ltd and 17.07% owned by Di Gregorio. The traditional model of online property classifieds mostly centres on property listings, valuation tools and historical sales data as well as content. But as Frontier recently detailed to shareholders at its annual general meeting, the new transactional model offers opportunity for online property classifieds businesses to go into services that are typically higher margin. These include mortgage broking, transaction facilitation, relocation services and property rental management. Many of the property platforms in Frontier’s portfolio are not just selling advertising but also participating in the transactions and getting paid a commission when the property is sold. For example, Zameen, a Pakistan-based real estate portal that Frontier is invested in, is already providing all these services and earning revenue from it. Another Frontier portfolio company, iMyanmarHouse, now generates over 65% of its revenue from property sales commission. In fact, Frontier last week announced two new investments that are oriented toward transactional revenues — AutoDeal, the leading new car sales platform in the Philippines, and Propzy, Vietnam’s leading transaction-focused classifieds business. In a statement, Di Gregorio says Propzy is Frontier’s first investment in a fully transaction-focused classifieds business that does not rely on traditional advertising revenue. According to a filing with the ASX, Frontier says Propzy facilitated some 205 property transactions in 1Q2017 with the average share of the commissions standing at about 0.4% of transaction values. “In 2015, there were a total of 257,000 propety sale transactions in Vietnam with potential agency commissions for the whole Vietnamese market being as high as US$1 billion (RM4.2 billion),” the filing says. AutoDeal, meanwhile, recently rolled out its “v2.0 online classifieds business model” that focuses on expanding transactional revenue streams, including car financing through its portal. This move toward a new earnings model has reflected positively on Frontier’s 1QFY2017 ended March 30 results. It posted a record quarterly revenue of A$4.9 million (RM15.8 million), up 87% from A$2.6 million in revenue during same period last year. Meanwhile, iCar Asia Ltd is also laying the foundation to enable its automotive platforms to find new earnings streams that are not dependent on the traditional advertising revenue. The ASX-listed iCar Asia operates automotive portals in Asean’s three largest markets — Malaysia, Indonesia and Thailand. It is 27% owned by Catcha Group Pte Ltd.
iCar Asia CEO Hamish Stone tells The Edge Malaysia that iCar Asia is indeed moving toward establishing new revenue streams around transactions. Core to this strategy would be the migration of all its respective platform brands onto a single back-end technology platform and enhancing its new cars business. “We have been working in the new car space for a while and we recognise it’s a big opportunity for us. We are heavily invested in a digital platform for that,” Stone says. It is in the new car space that the likes of Carlist.my and iCar Asia’s other car portals can start earning commission from facilitating transactions. In the new car space, Carlist.my has just launched a platform dedicated to selling new cars and a chatbot, a smart learning machine that helps users find suitable cars and book test drives. Additionally, Carlist.my recently hosted its Test & Buy Event 2017, showcasing more than 50 models from 15 automakers over two days. The event drew over 20,000 visitors and chalked up RM23 million in new car sales. Amid all this enthusiasm about this new direction, REA Group Ltd CEO Tracey Fellows appears to take a slightly more cautious view. REA Group’s flagship portal, realestate.com.au, is Australia’s leading real estate platform. The group last year completed the acquisition of the Malaysia-based real estate portal iProperty Group Ltd which valued the latter at A$750 million. As Fellows points out, selling real estate online is a very different game from selling cars or other goods. “It’s not to say parts of the value chain aren’t being digitised, automated or made more intuitive. They absolutely are and we’re leading some of that. But I think it’s a long time before the vast majority of property transactions are done completely online. 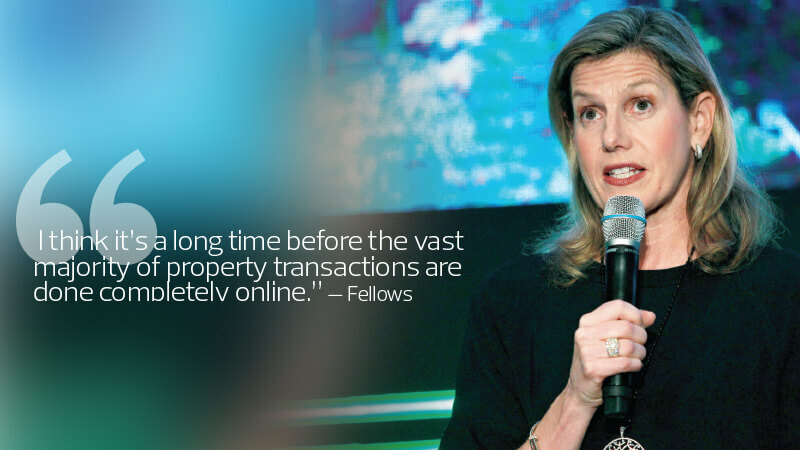 “The end-to-end transaction does involve human intervention because of the size of the transaction and the fact it is such an emotional transaction at its core because it’s where your family lives,” Fellows says. REA Group’s core revenue stream is very much still in online advertising, whether it is advertising residential real estate for sale or for rent, or finding non-residential properties. But the group also derives some ancillary income including by selling insights and data to property developers and agents. Apart from that, REA Group has also partnered with the National Australia Bank (NAB) to bundle mortgage products for homebuyers. REA Group receives some funding from NAB for product development and marketing. REA Group also gets paid a commission whenever it successfully sells a mortgage product on its platform. Those familiar with the property industry say that it may not be so easy for property portals to come in and take a portion or all of the commission generated from real estate sales, particularly in some of the more mature emerging markets like Malaysia and Singapore. This is because the agency model is still rather entrenched and agent listings still make up a substantial portion of property classifieds websites. “I am not sure how a property portal can keep agents happy and continue listing with them while trying to also compete with them on property sales. Perhaps one way is to work with developers on selling new properties,” says an industry observer. Frontier’s Di Gregorio concedes that it may be easier for online classifieds in the frontier and emerging markets to participate in the transactions compared with the more developed markets like the US, the UK or Australia. This is because frontier markets face unique issues such as low levels of trust between buyer and seller, lack of access to traditional payment instruments and lack of financial infrastructure to support safe payments. They also tend to have comparatively higher mobile penetration. Emerging and frontier markets tend to have a smaller advertising market, so online classifieds businesses will need to find other ways of making money. “We’ve seen this model evolve further where the newest property portals coming into the markets are purely transactions. They’re not even bothering with selling ads,” Di Gregorio says.